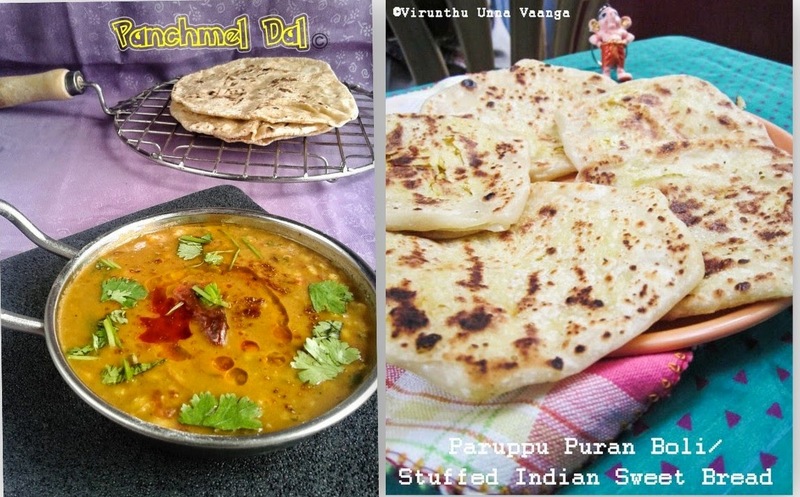 Hi my dear friends, this is first guest post on my space, I feel so delighted to share with you all an aromatic guest post from my dear blogger friend Preeti as Chef PT… I love her different combo of her recipes which was very unique and loved her style of photographs… And you can see huge number of recipes (more than +700 recipes) within the short period… I really wonder how she could manage 2-3 posts per day… I have seen sometimes 4 recipes/day. Energetic and enthusiastic lady, isn’t??? We were started to chat through FB and our day by day chats make us good friends and so happy to have Preeti as my friend and one day we both talked via phone too… She is very sweet person and will give healthy tips, blogging tips and all… When I asked her for a guest post she immediately accepted without any delay and she was busy with some other works so I won’t force her for a while… Other day she voluntarily told me that “Viji your guest post is ready tell me when I will send to u”, how such a humble person is it?? Hi friends, this is my 4th guest post. And I’m doing it for one of my close and sweetest friend Viji. Even though we came to know about each other via blog, but she came too close to me in last few months. Whenever we talk, it’s mostly about blog, photography and personal matters. When she asked me for a guest post, I was so happy that I accepted it immediately. But could not give her in time as I was caught with some personal issues. Viji, I hope you forgive me for the delayJ. (It’s my delight to have as my friend so time limitsJ). Thank you dear Viji for giving me this opportunity. 1. What inspires to write food blog? 2. What did you gain after coming to the blogging world? I have got lot of friends. I have found hidden interest of mine that is food photography. I didn’t know about ABCD of photography before blogging, but now to some extent I have improved my skills. 3. If you meet your favourite celebrity chef what would you like to give them for a dine? I would love to give them Karuvepillai Chicken Curry & Spicy Paneer Gravy with Roti. 4. Tell us top 5 of your recipes that you recommend for us? Baby Corn Masala Gravy, Chettinadu Puli Kuzhambu, Chettinadu Veg Curry, Paneer Kofta in Spinach Gravy & Hare Chane ki Dal aur Methi Muthia. 5. Share some photographic tips to new budding bloggers. · As I’m still learning photography, I would like to share some basic tips which are really important. · Composition in important. Always make use of Natural Light. Try to diffuse the harsh light through white cloth. · Make use of reflectors like foam board to avoid those shadows around subject. · Try to take photos near window or door through which u get enough day light. Never ever go for Camera Flash. · And foremost thing, never think that only DSLR or SLR can take great photos. Even a normal Point & Shoot Camera can do your work provided you follow some basic rules of photography (light, composition, and styling). The recipe is adapted from here. 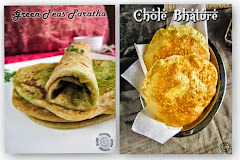 I have replaced maida with wheat flour but there is no difference in the taste. · Beat egg till smooth. Add sugar and essence. Beat it again. Add this to the mashed banana and beat it. Make sure no big lumps are formed. Add olive oil. Beat it again and keep aside. · Sieve wheat flour. Add baking powder, baking soda and salt. Mix all and add this to the wet mixture. Don’t over mix everything. · Preheat oven to 180 degrees C for 10 mins. Spray the muffin liners with little oil and keep it in the cups of muffin pan. 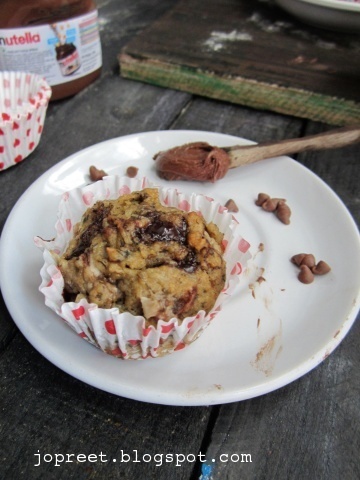 · Take two tablespoon of the muffin batter and drop it in each muffin cups. 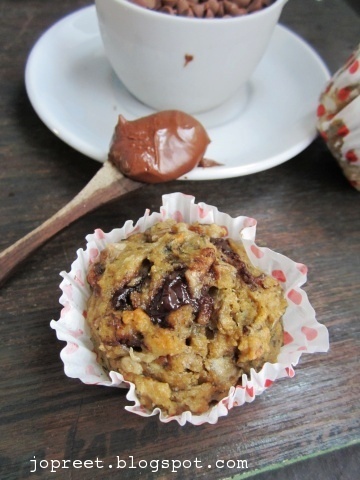 Top each muffin with 1 tsp of nutella. And use a toothpick to swirl it into the batter. · Keep the pan in middle rack and bake at 180 degree C for 15-18 mins. 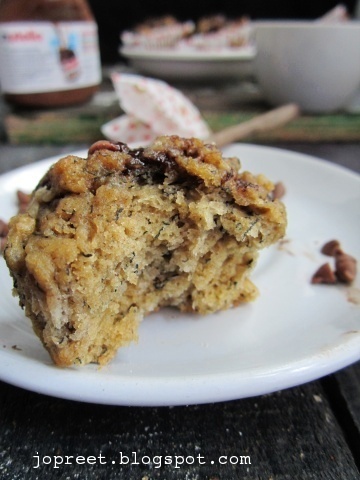 · Insert a toothpick at the centre of the muffins. It should come out clean. Take out the pan from oven and let it cool little bit in the pan for 10 mins. 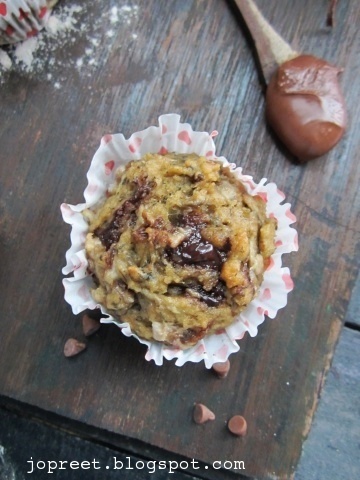 · Transfer the muffins on the cooling rack and let it cool completely. Serve it immediately or keep it refrigerated. WOW SUPER SOFT AND MOIST MUFFINS ISN'T??? Thank you so much Preeti for the wonderful guest post!!! hi viji ! i can,t find your facebook page , send me the link please. Viji the font and design of your blog is too good :) just awesome :) do change the size of the comment font too ! lovely about PT :) i am still wondering about her energy always ! pt def i wll try ! 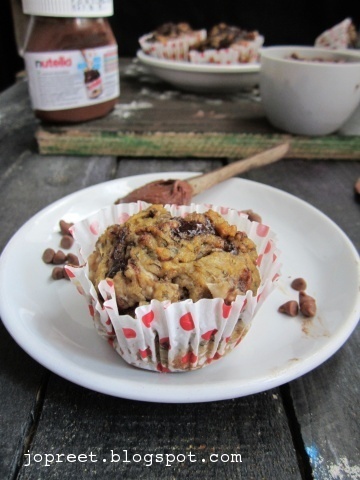 Lovely guest post viji,good tips for newbies,nutella and muffin to die for. Beauties, who can resist to this muffins, loved your chitchat,especially Preeti's NV dishes,love u both sisters..Kudos to both of u.
yummy muffin & nice chit chat Viji. Greetings, I do think your web site could be having browser compatibility issues. When I look at your blog in Safari, it looks fine but when opening in Internet Explorer, it's got some overlapping issues. I simply wanted to give you a quick heads up! Apart from that, great website!